Selected boards from POV Media’s short film, Shatter. The gang challenges Shatter, but she begins to fight them off using her telekinetic powers. 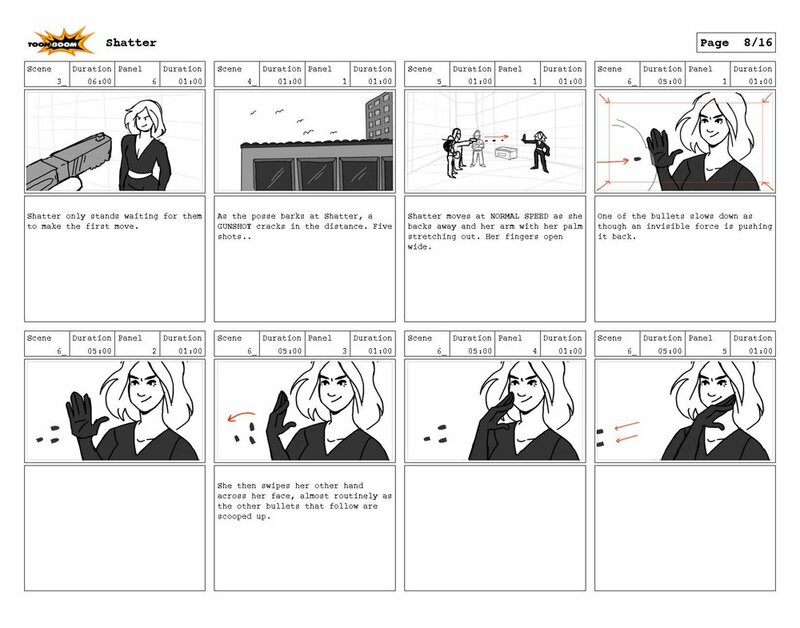 The goal of this assignment was to practice the process of translating a script into final storyboards. We were given an excerpt from The Simpsons season 1 episode 10: Homer’s Night Out. 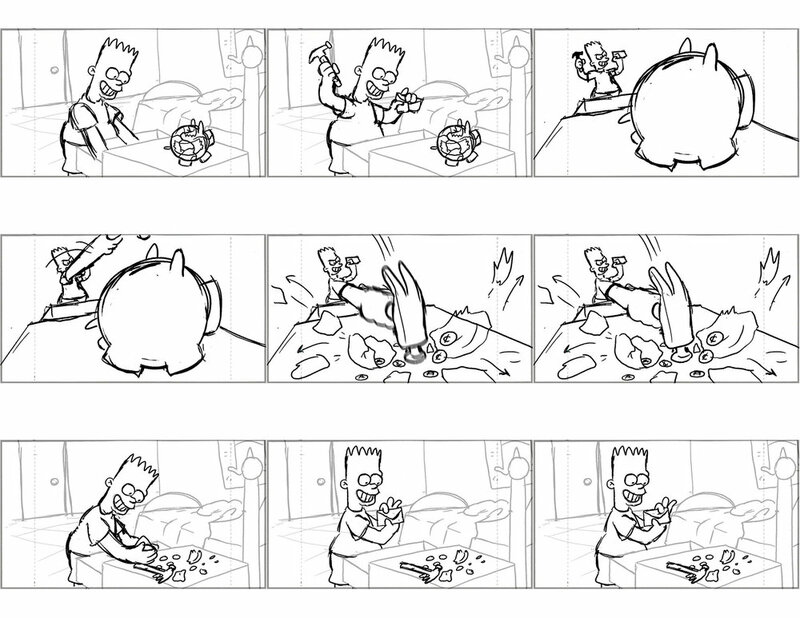 This sequence shows Bart flipping through the ads in the back of a comic book and preparing to buy the pictured “mini spy camera”. 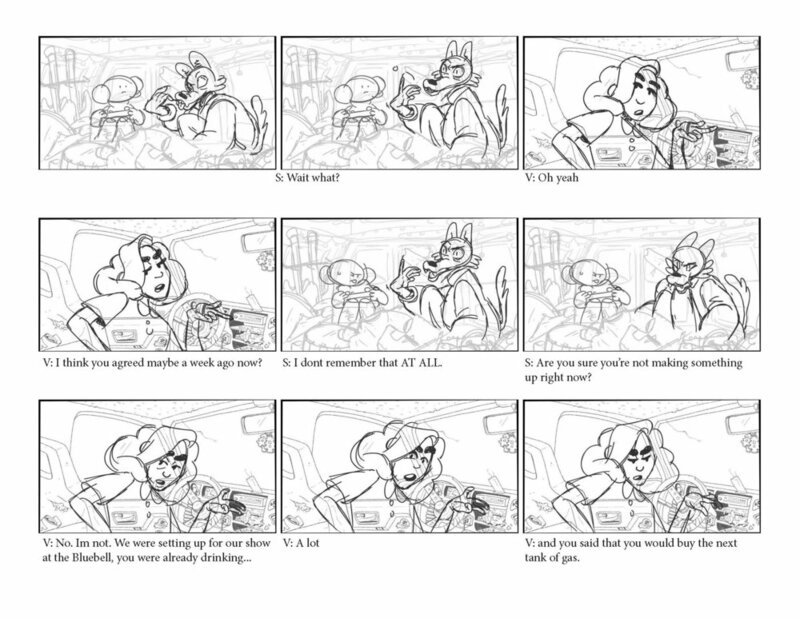 This section contains storyboards for my senior film Mr. Shrimpy’s. The selected scene shows the main group of characters realizing that their car has run out of gas and arguing about whose job it was to fill up the tank.